This weekend, we hosted a party to get in some play time with our friends. 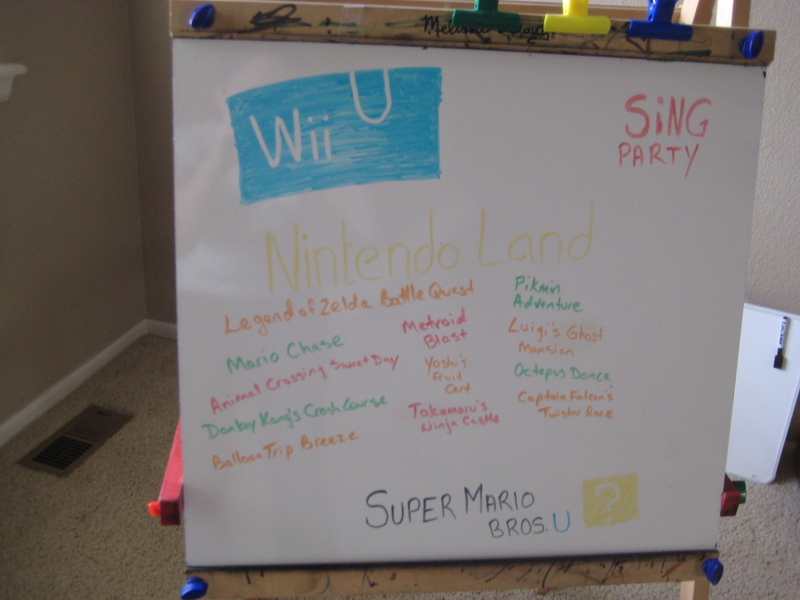 The WiiU we received for Christmas was the focus of the event, though our friend Chris said he came for the food. 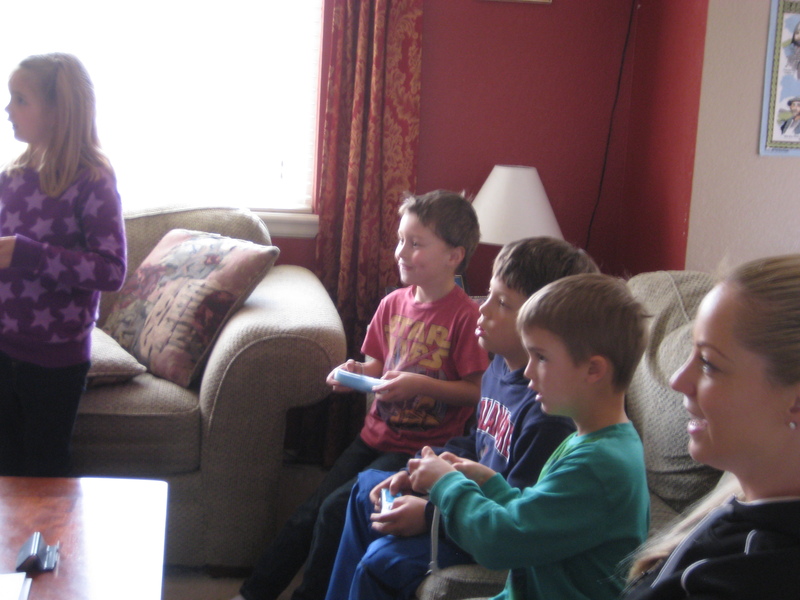 The kids took turns with the game pad, hiding in the corner while they plotted to capture their friends (Luigi’s Ghost Mansion) or escape them (Mario Chase). 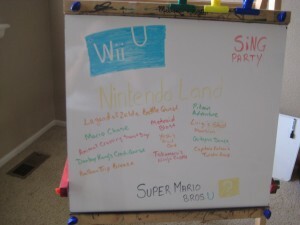 There are 12 mini games on Nintendo Land, but these were the ones the kids enjoyed the most. At one point, the kids went outside to run around, and the adults grabbed the microphones and sang their hearts out. Even those who didn’t want to sing were happy to be background dancers. Right now Sing Party comes with 50 songs, but new songs will be available to download soon. We had a competition of guys vs girls, and while the guys won, their performance didn’t get rated “glorious”.